For the remainder of the summer, each week we will take a deeper look at a basketball movie. Some you know, some you don’t. 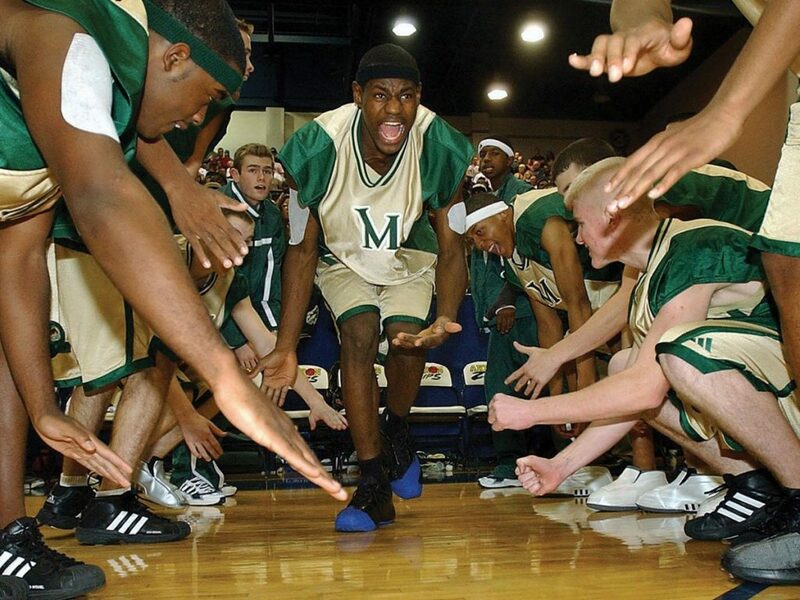 We start this column with More than a Game, a documentary about some Ohio high school basketball player named LeBron James. Maybe you’ve heard of him. He also co-starred in Trainwreck and plays basketball professionally when not being in movies. More than a Game was a key cog of the LeBron James marketing machine of 2009-10, culminating in the “taking my talents to South Beach” spectacle, where James sounded like a hostage reading from a prepared script. 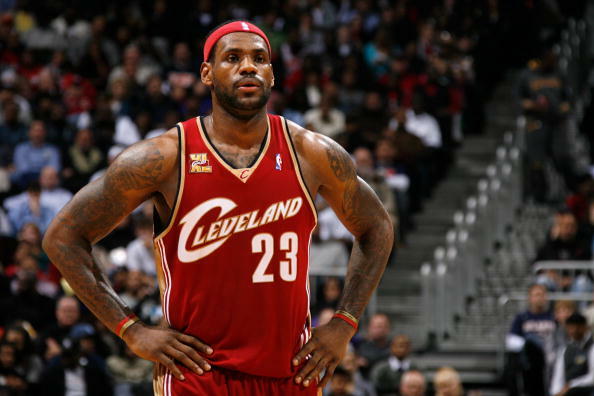 Everybody has a regretful era of their young adulthood, and this will be LeBron’s. Instead of employing a beer commercial catchphrase or wearing a puka shell necklace, he became obsessed with his narrative/legacy/brand. In addition, to the documentary about his childhood basketball squad there was a tie-in book, Shooting Stars, which its author (Buzz Bissinger) publicly criticized years later. At the time, it was too much. Few doubted James’s abilities, but sports are driven by results. A championship legitimizes all brazenness. Without a Larry O’Brien Trophy to his name, James got framed as a narcissistic villain. As Ian Thomsen observed in his terrific book, The Soul of Basketball, the role was an uneasy fit. LeBron needed to be liked. He could not play the heel. A lot of history has unfolded since the release of More than a Game in fall 2009. 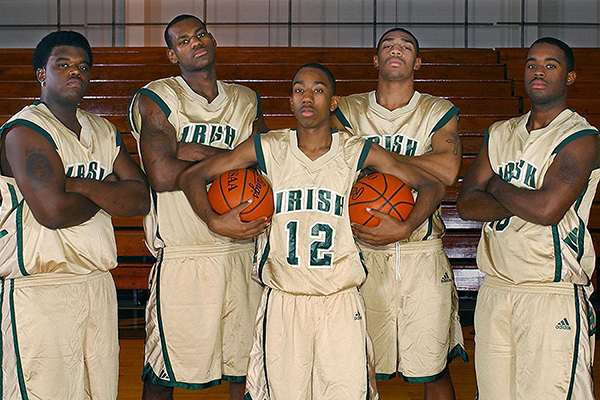 What was an odd fit in 2009—a documentary about a young NBA star’s high school glory days felt premature, to say the least—makes for fascinating viewing in 2018. This past month’s ungodly workload aside, James finally looks comfortable. Time and perspective helps. LeBron was in his mid-twenties during the release of More than a Game, an age where our logic requires some hardening. He was acting like someone insecure about his legacy, so he offered a PR-friendly preemptive strike. Now we’re see the confidence to break down the staginess. Look at his unwillingness stick to sports, including eloquently telling off Donald Trump. Among his issues with Shooting Stars, Bissinger cited James’s inability to say something. That’s not the case these days. It’s invigorating to behold. 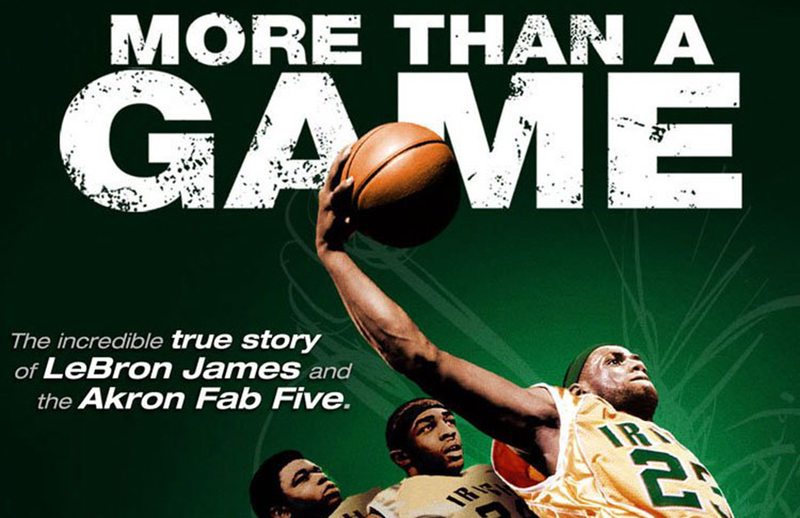 More than a Game, which is streaming on Netflix, provides background to understanding LeBron James as an adult. He has spent literally half of his life living in a phalanx of cameras and sports writers and withering attention. At 17, James was anointed the next Jordan by Sports Illustrated. It’s amazing he didn’t end up a fractured soul, scrambling to pick up the pieces. The basketball court provided a refuge from the gears of publicity, a place to find contentment. It’s easy to understand why he would try to maintain that image—instead of letting nosy journalists and authors do it against his wishes. James could, for once, control the narrative. This nonsense has been happening for years. More than a Game is James’s plea to return to a simpler time. His childhood featured people he trusted, he loved. He could be a kid, instead of belonging to the world. And given how bumpy his departure to Miami was, that desire to look back is obvious now. Back then it came across as unabashed self-aggrandizement. Now, I see a young man so uncertain about his future that he retreated into the past. We expect professional athletes to be different from us in all phases of life. The logic is since they can regularly perform near superhuman feats, they are somehow advanced in everything else and should make heady decisions at age 25 while handling the subsequent flak. For whom it applies, remember yourself at age 25. I do my best to avoid doing that. I had blundered my way out of a newspaper and was in the middle of a string of bookselling jobs that would catapult me toward the exciting world of trade magazines. I was not operating at peak performance. LeBron James, like any 33-year-old man or woman, is evolving. So is his legacy. For many of us, sports are a distraction. In More than a Game, James says basketball was relief from a transient home life, a place where he had a family who was there every day. It feels ridiculous to mock James for lacking the clutch gene or being too much of a facilitator or whatever faux arguments keep the “embrace debate” machine whizzing at its clutching-pearls, they-said-what? best. Ironically, More than a Game is a reminder to enjoy the game. We can pause for a moment and realize it’s a pleasure to watch LeBron or Kevin Durant or whomever go to work. It took a while, to borrow Scott Raab’s memorable phrase, for LeBron to “hunger for a battle,” to become the kind of basketball player we’ve wanted him to become. What’s rewarding isn’t that he’s grown comfortable in his own skin, but he is showing us that. Russell was too wary, and understandably so as a black man playing in 1950s and 1960s Boston. Magic Johnson, until November 7, 1991, was too business savvy. Bird and Abdul-Jabbar were too closed off. James is the one superstar who has grown up in the spotlight for so long that he’s learned to become a human being under its glare. No matter where he ends up next season, we know he’ll handle himself accordingly. That’s what grown-ups do.